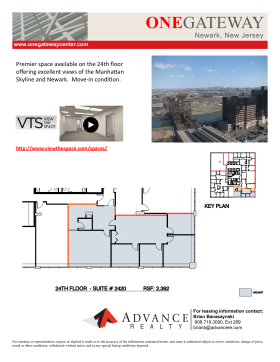 Premier space available on the 24th floor offering excellent views of the Manhattan Skyline and Newark. Move-in condition. 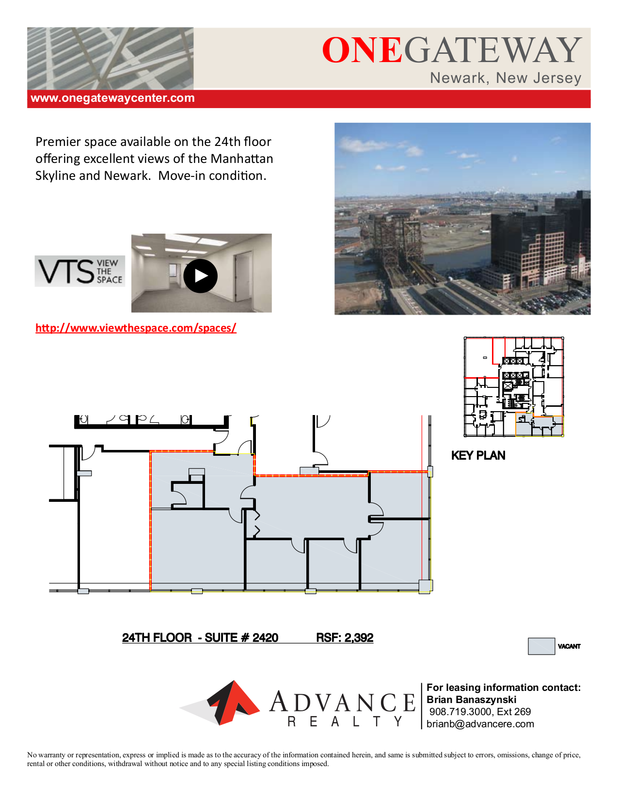 The complex offers a fully enclosed direct skywalk connection to Newark’s Penn Station (serving Amtrak, NJ Transit and PATH trains) providing tenants access to Manhattan within twenty minutes. The Gateway complex features a 30,000 square foot retail concourse which includes dining, banking, fitness and other upscale amenities. 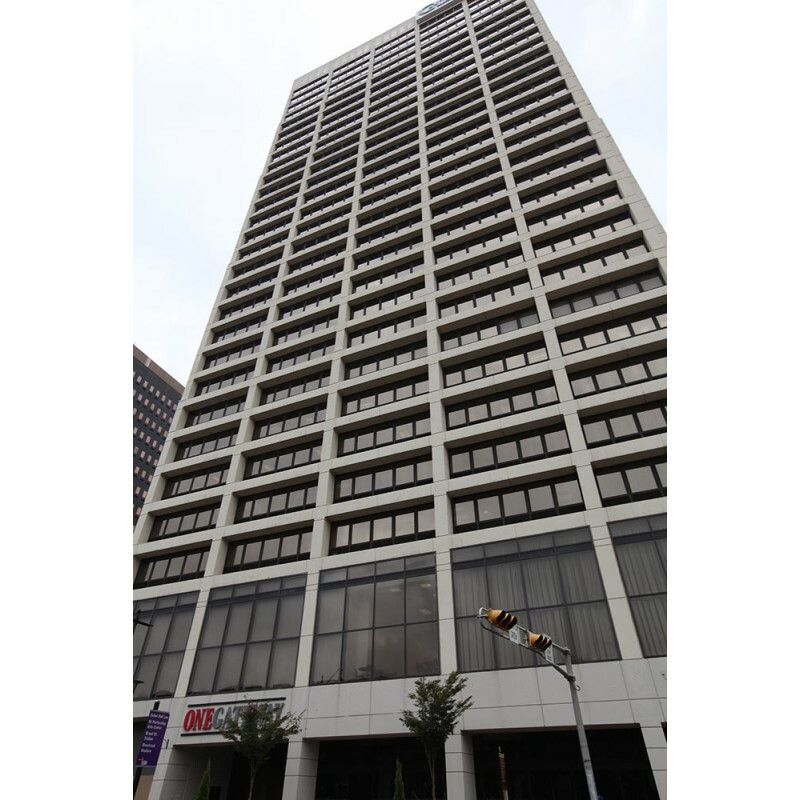 The property is located in the heart of downtown Newark, providing convenient access to Newark’s Liberty Airport, the New Jersey Performing Arts Center and Newark’s Federal and County Court Houses.